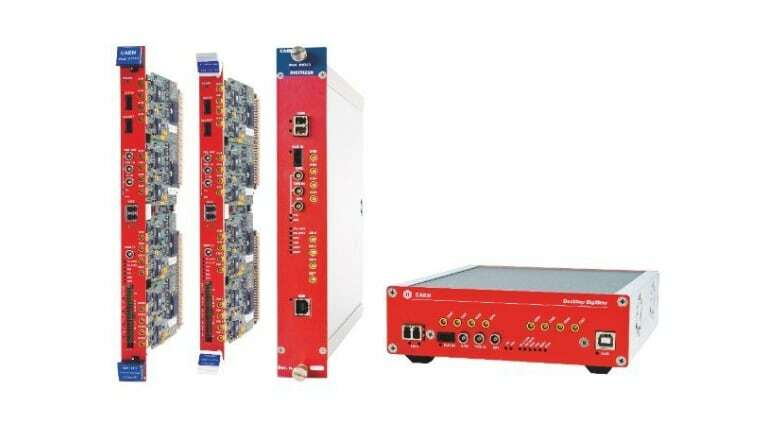 The 743 is the Switched Capacitor Digitizer family, based on the SAMLONG chip and developed in collaboration with CEA/IRFU, with a good compromise between high sampling frequency (3.2GS/s) and channel density. 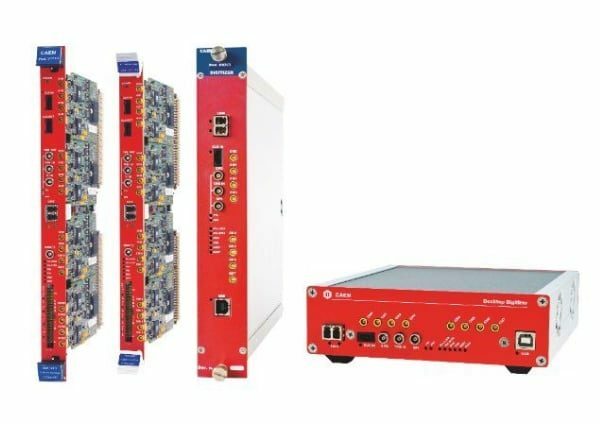 It can record very fast signals from scintillators coupled to PMTs, Silicon Photomultipliers, APD, Diamond detectors and others, and save them with high efficiency and precision for advanced timing analysis. 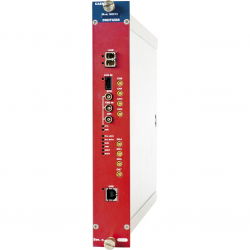 The analog inputs are continuously sampled by the 1024 capacitive cells in the SAMLONG chip at a frequency that is software selectable among 3.2 GS/s, 1.6 GS/s, 0.8 GS/s, and 0.4 GS/s. 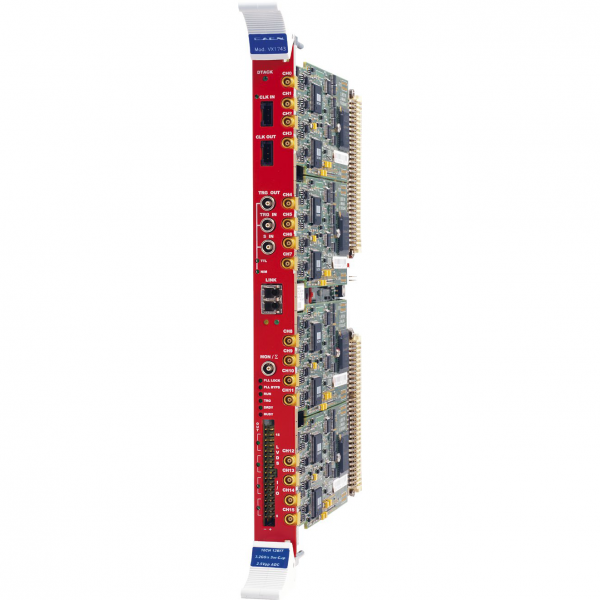 Once the trigger condition is met, the capacitors are released, data is converted by a 12-bit ADC at a lower frequency and stored into a digital memory buffer. As the sampling and the analog-to-digital conversion are not simultaneous, a dead-time is introduced, during which the board cannot accept other triggers. On-board charge mode allows for charge integration and fast histogramming. The acquisition can be in coincidence, majority mode and externally gated. Multiple boards can be synchronized to build up complex systems. 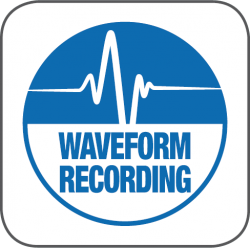 The acquisition is fully controlled through the WaveCatcher software by CNRS/IN2P3/LAL, which manages the settings, plots and saves waveforms and histograms, and includes advanced measurements (noise, time, rate). Libraries and demo software in C are available for integration and customization of specific acquisition systems. 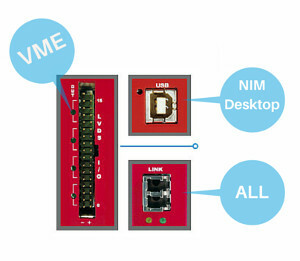 743 family comes in three form factors: VME (16 input channels), NIM (8 input channels) and Desktop (8 input channels). 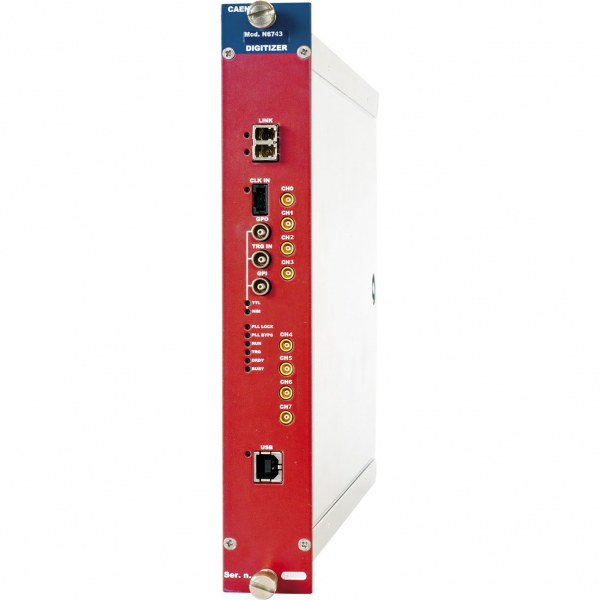 The communication to and from the board is provided through the following interfaces: USB (Desktop and NIM form factors), VMEbus (VME form factor), and Optical Link (all form factors). 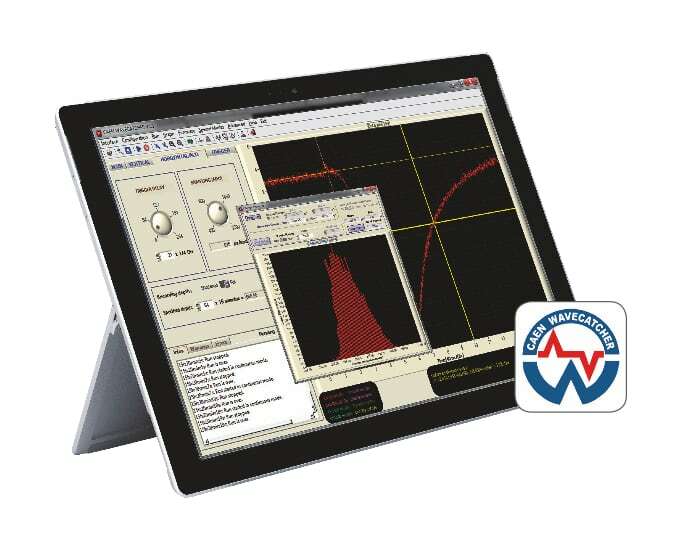 The WaveCatcher software and the Waveform Recording firmware for 743 family is a complete oscilloscope-like tool made by CNRS/IN2P3/ LAL, which is able to control a single board belonging to the CAEN 743 Digitizer series. 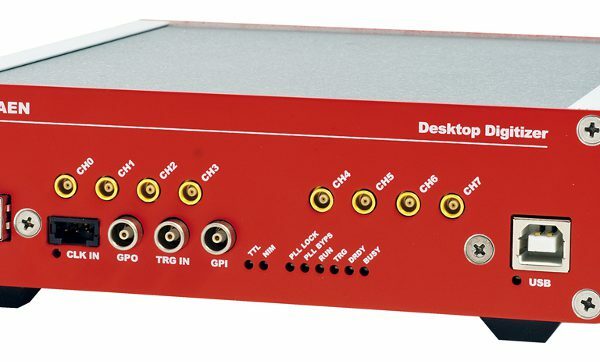 A graphical user friendly interface is available to take benefit of all the functions of the hardware: sampling frequency, different trigger modes, waveforms and charge data acquisition, channel pulses, etc. The system also features different tools for on-line measurements and histograms plotting: graphical cursors, noise level, raw hit rates, charge amplitude and time measurements, time distance histograms between channels (fixed threshold and digital CFD methods), charge histograms, FFT, etc. All acquired data and computed measurements can be saved to files for further off-line analysis.